At first I loved Ernie because there was no Elmo to love and my brother was most definitely a Bert. My brother could have been the prototype for Bert. My brother might have been Bert in disguise. 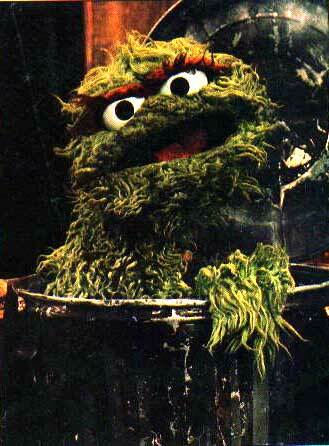 Then I fell in love with Oscar the Grouch. I still love him to this day, though Elmo is making serious inroads now that I have children. The two are essentially competing for my soul. A battle of wills between the Elmo in me and the Oscar the Grouch in me.